If you are looking for a cheap cheap towing service in Minnesota, we can provide it to the best of our ability. We rescue distressed and stranded drivers and assist them in any way possible. This is the critical time of their lives that we provide safe, fast, cheap and professional towing services at the best possible costs. We have the most skilled and finest towing professionals to help you. Our drivers are approved and certified by the law enforcement for state impounds and accident towing. With our commitment to reliable and honest customer service, you will realize us as the best cheap towing service company. Call Allinone Towing today! If you are looking for a cheap towing service in Minnesota, we can provide it to the best of our ability. We rescue distressed and stranded drivers and assist them in any way possible. This is the critical time of their lives that we provide safe, fast, cheap and professional towing services at the best possible costs. We have the most skilled and finest towing professionals to help you. 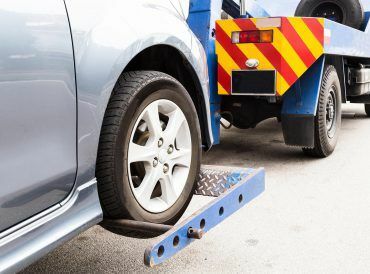 Our drivers are approved and certified by the law enforcement for state impounds and accident towing. Some people will not consider thinking about long distance towing service. This is generally one-hundred or even more miles. This will also include small trucks and cars. Our team will haul your lightweight vehicle across a country or state. We will secure it on the rear part of the flatbed. This is commonly used when it comes to long distances. But, the delivery and pickup are usually scheduled earlier. 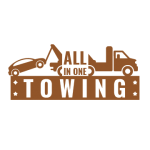 For your local towing needs, we at Allinone Towing will provide assistance. Despite the bad location, bad weather and bad hours, we still will be glad to be of service. When you choose us for the service, you will get what you really need. You will also be amazed because it fits your budget. Most importantly, you will be guaranteed with utmost satisfaction. You will not worry because your vehicle will be delivered quickly, safely and timely! If you need the necessary motorcycle towing, our team of towing specialists is experienced in handling bikes. We will tow and recover your motorcycle safely and securely. Even if it is just a simple breakdown, we will get it to the nearest repair shop. You will also expect it to be a cheap towing in Minnesota. With our years in the service industry, we have the know-how and experience to handle the job. Call Allinone Towing today in Minnesota! We will handle everything for you!